Tahoe: 12 Feet of Snow in 13 Days! In the Christmas season of 2008, Tahoe picked up 12 feet of snow in 13 days. North Lake Tahoe wanted snow and they got it – and then some. Since Christmas Eve, Mother Nature has delivered nearly four feet of new snow at the ski resorts’ higher elevations, resulting in some of the best snow conditions in the country, and a storm total of 12 feet in the last 13 days. 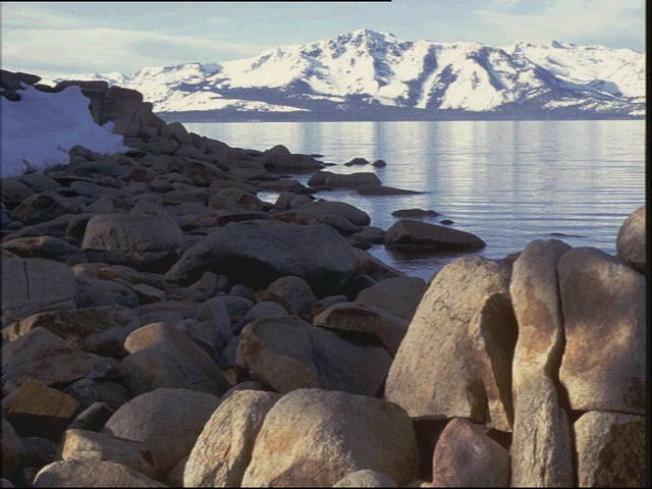 North Lake Tahoe has the largest concentration of ski resorts in the country. Chapman said due to the abundance of new snow all the region’s downhill and cross country ski resorts are open, including Alpine Meadows, Boreal Mountain Resort, Northstar-at-Tahoe and others. For more information about ski resorts and regional special events, along with current weather conditions in North Lake Tahoe, click to www.GoTahoeNorth.com. All the fresh snow is considered partly to blame for a deadly avalanche at Squaw Valley, investigators said Friday. Rescuers found Randall Davis, 21, buried under several feet of snow Thursday. They said he was an expert skier, but he and his ski partner were in a heavily wooded area, and got separated in blowing snow. The ski patrol used search dogs and electronic tracking devices to find Davis.